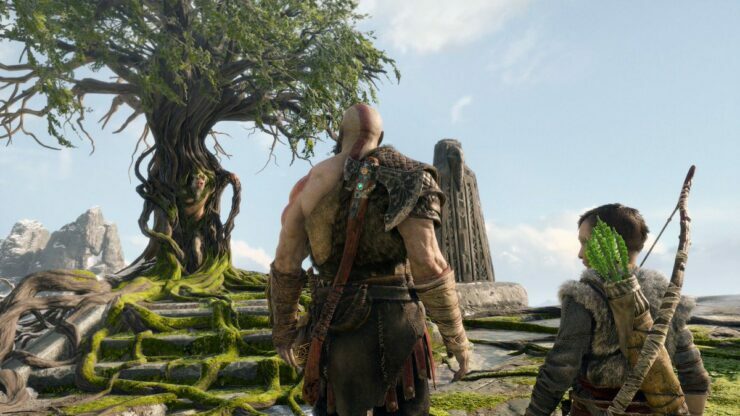 PlayStation 4 fans are eagerly anticipating the return of Kratos. With the game scheduled to hit retail and digital on April 20th, God of War Product Manager Jon Edwards was interviewed by MCVUK with a focus on the marketing angle. Edwards said that God of War is a key title for Sony Interactive Entertainment and even commented on the pre-orders so far. Our pre-orders are in line with our expectations at this point and we anticipate a significant increase once the reviews go live. This is par for the course as many gamers have now wisely decided to wait for reviews before pre-ordering games. However, that Sony is so confident to expect a “significant increase” in pre-orders once reviews go live is reassuring of the product’s quality. For the record, the God of War reviews embargo will lift on April 12th at midnight (Pacific Time) and you can expect to read our review by then. Edwards also briefly talked about the marketing plans Sony Interactive Entertainment has for the United Kingdom. There’s going to be a big campaign, apparently. God of War is one of our big titles for 2018 and the marketing investment is indicative of that. We want to make sure that we convey the stature and magnitude of God of War; this is an epic action-adventure game which will be brought to life via big AV placements across TV and cinema. The ATL spend will place God of War in front of a huge audience. TV, cinema and VOD will deliver the trailer to a substantial mainstream audience across sport and film audiences – Tomb Raider, Pacific Rim 2, Ready Player One. There will also be out-of-home placements on over 2,500 buses around the UK and hundreds of 48 sheet [billboards]. Alongside this, there will be a large digital and social plan providing new content and high impact advertising across a wide range of gaming sites, mainstream media outlets and more, providing an always-on approach to God of War.